The Chester Debenhams or Browns of Chester as it is sometimes known, has had a little bit of a face lift. 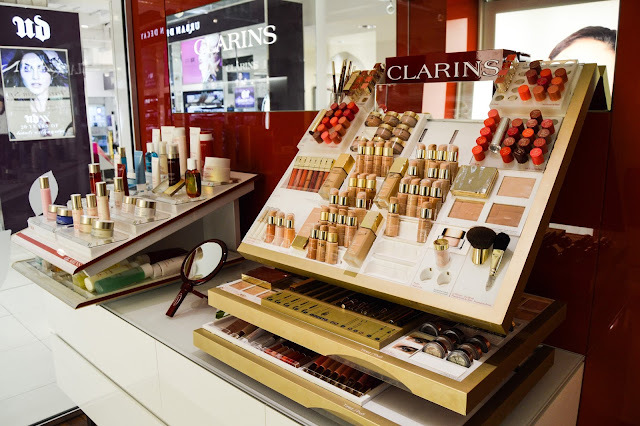 Glossy counters, with plenty of space have been added, as well as a revamped Clarins Spa. 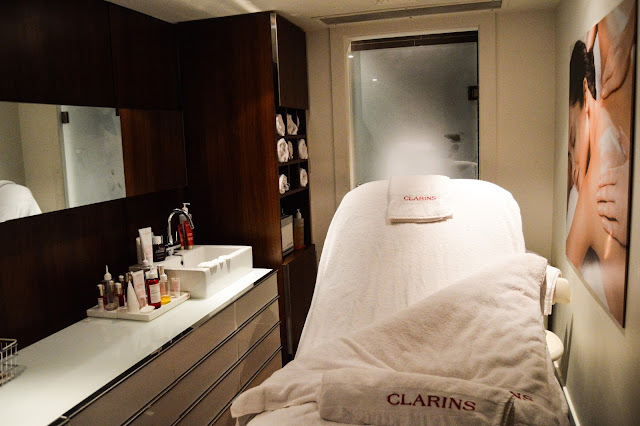 Full of a cold and hiding battered, dehydrated skin, I stepped into the Clarins Spa, away from the hustle and bustle of the shop floor. 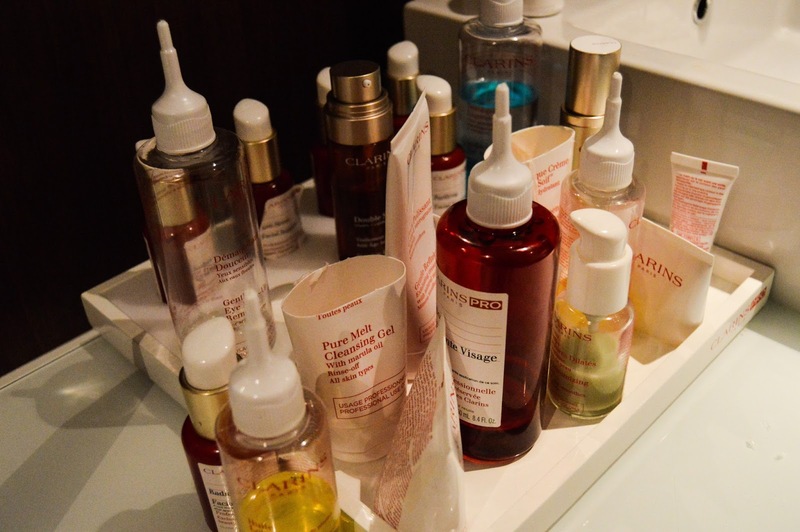 Skincare is something I adore, it’s been an obsession since my teenage years brought acne with them, and so a spa facial treatment is a dream for me. 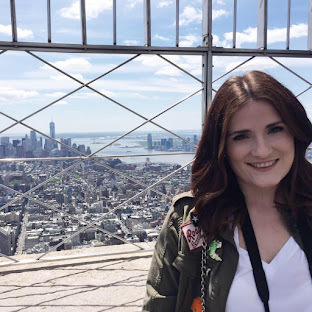 After a consultation with the lovely therapist, We’d discussed my skin concerns, spots, and acne scarring and oil production and from that Jessica suggested which facial treatment would be most useful to my skin. 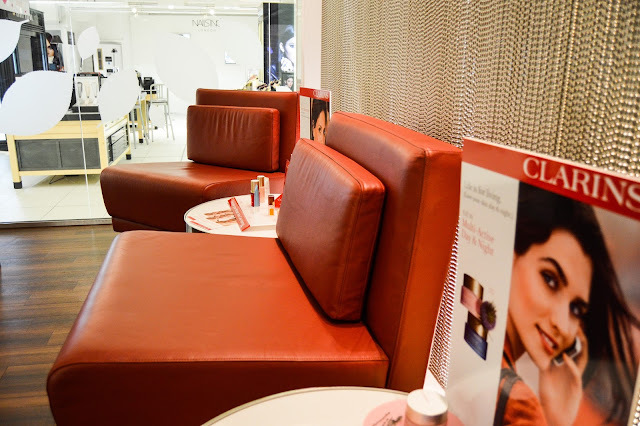 I lay down on the world’s most comfortable massage chair, with a heated blanket may I add, for my Detox and Shine Stopper treatment. The room’s low light and ambient music had me soothed within seconds. Creating a blank canvas to work upon was therapist's first task, she used the Cleansing Milk and Instant Eye Makeup Remover to clear away any traces of makeup. I was dying to see what the Pure and Radiant Face Mask was like, I’d never seen it before but the spa therapist raved about it. Radiance boosting products are ideal for weathered winter skin, especially those suffering from acne, as the help to renew the skin and lessen the appearance of scarring. Unlike some of the clay masks and acne clearing masks I’ve tried, this doesn’t dry out and crack, it’s gentler on the skin. It left my skin soothed and matte. I’ll be purchasing this soon, I’m very impressed with the results. 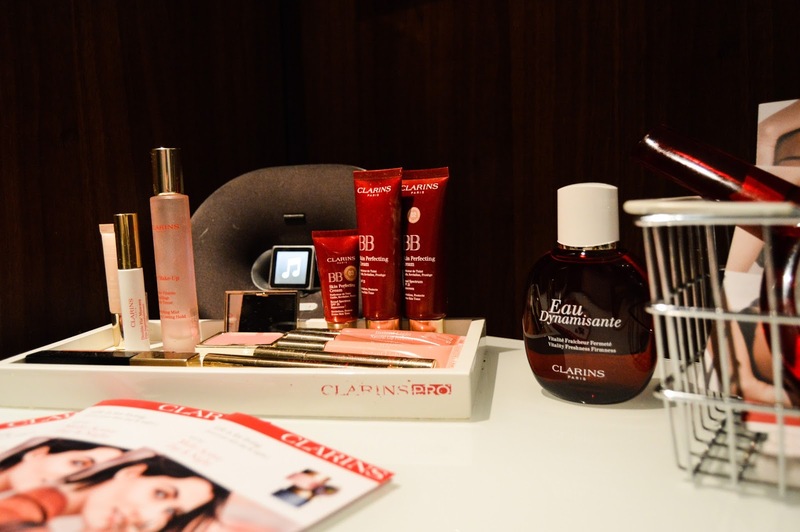 Some of my favourites from Clarins were featured in the Detox and Shine Stopper treatment including, the Gentle Exfoliating Toner, Pore Minimising Serum and Hydra Matte Lotion. All which I recommend those with oily, acne prone skin try out. The Gentle Exfoliator is comparable to the REN Clarimatte Toner or the Pixi Glow Tonic, it contains glycolic, salicylic and tartaric acid, all of which help to break down dead skin cells and renew the skin. My treatment was finished with a little of the Lotus Oil, which I adore, and the de-puffing Eye Contour Gel. The therapist really gave me lots of TLC, with delicate massages and slow movements, using pressure points to really help me unwind. It was one of the most relaxing hours of my life. I left the spa feeling like I was floating on a cloud, and my skin looked refreshed. 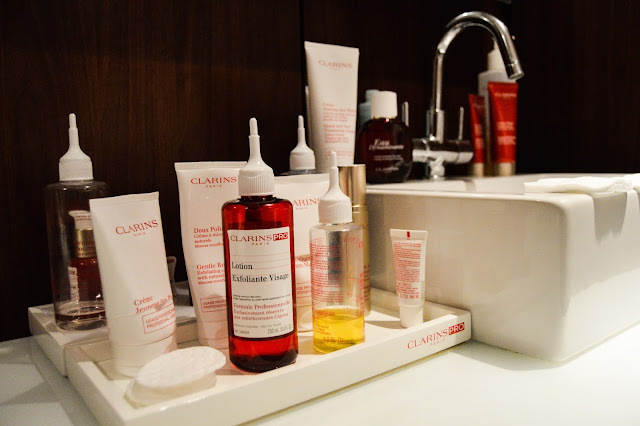 I can’t recommend the Clarins Spa in Debenhams enough! *The treatment was given complimentary but all of my opinions are 100% honest.